Gum or periodontal disease results from a build-up of plaque on your teeth, and if left untreated has been linked to more serious conditions such as heart disease, diabetes, respiratory conditions and stroke. 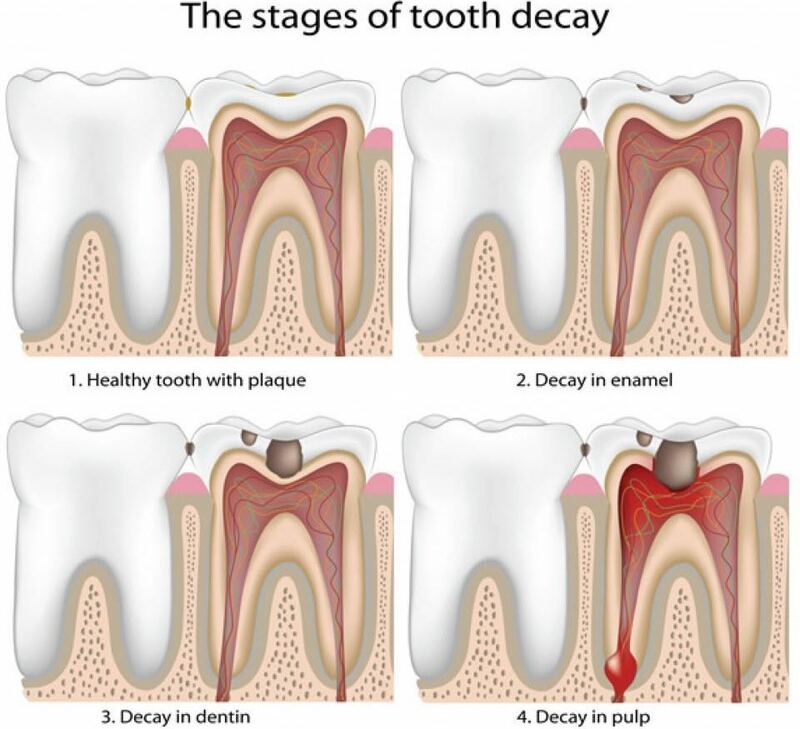 Periodontal disease can be identified in two main stages: gingivitis and periodontitis. In its early stages, periodontal disease is known as gingivitis and is a treatable reversible condition. Gingivitis occurs when a build-up of plaque forms into a sticky substance called tartar which is hard to remove through normal brushing. This bacteria then begins to attack the surrounding gums. Gingivitis can be characterized by red, swollen or puffy gums which may bleed upon brushing or flossing. Bad breathe and sour taste in the mouth is also common symptoms. Periodontitis occurs when gingivitis left untreated and although it can be effectively treated to stop it spreading, its effects cannot be reversed. Periodontitis occurs when the bacteria attacking the gums penetrate deeper into the tissues and begin to attack the surrounding bones and ligaments which support the teeth. In conjunction with the symptoms of gingivitis, periodontitis can also lead to gum and bone recession and eventual tooth loose. If you are experiencing any of the above symptoms, contact our friendly team to arrange a consultation. Your oral hygiene routine is very important to your overall oral health. A thorough oral hygiene routine consistently removes bacteria from your teeth and gums which helps promote good oral health and prevent future problems arising. Failure to maintain clean teeth and gums can lead to deterioration of oral health which in turn, can lead to a variety of dental problems such as gum diseases and decay. Bad oral health has also proven to have impact on your general health which can affect your quality of life. Visit your dentist once every 6 months. This usually include an examination to identify and treat potential dental issues before they escalate and a professional clean to remove the hard build-up of plaque that regular brushing can miss. At All Smiles Dental, our experienced team aim to keep the oral breath of all our patients at the optimal level. Call our friendly team to make your next preventative care appointment. A mouthguard is a removable rubber or polyvinyl shield worn over your teeth, most commonly the upper teeth, to protect the teeth and jaws from traumatic injury during sporting activities like football. The custom fitted mouthguard is available from us . This mouthguard is constructed directly from a mould taken of your teeth in the dental surgery and fits tightly and comfortably over your teeth. This type of mouthguard is the type recommended by the dental profession and is the most effective in preventing injuries to the teeth and jaws. Mouthguards should be worn whenever playing a sport where there might be a bump or knock to the face.